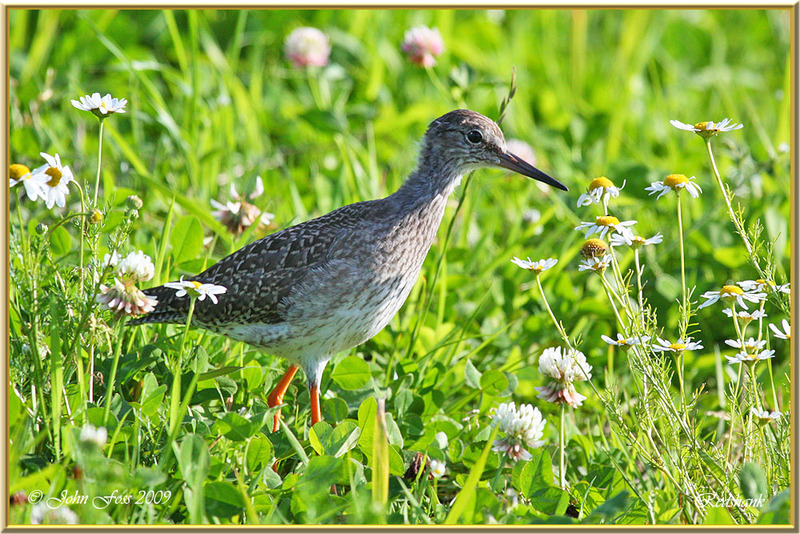 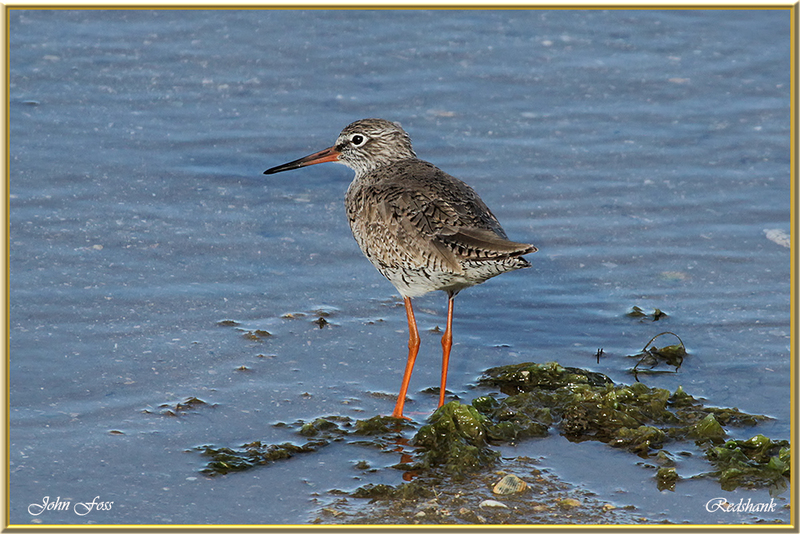 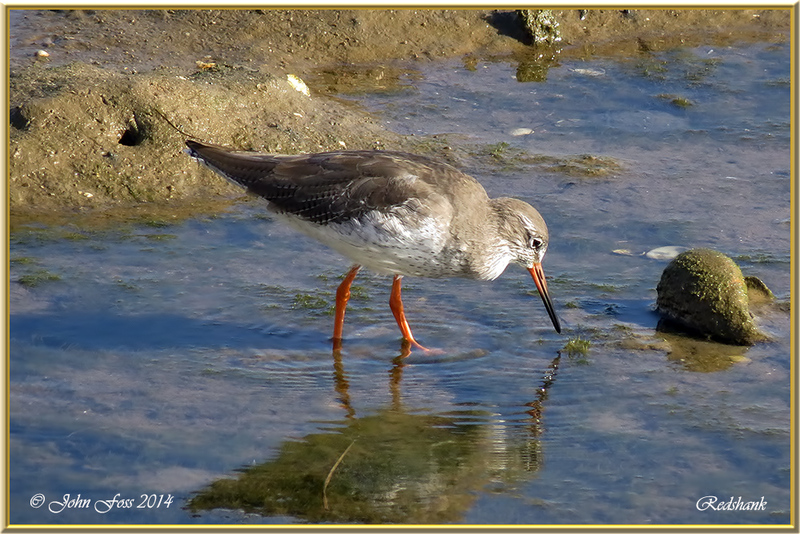 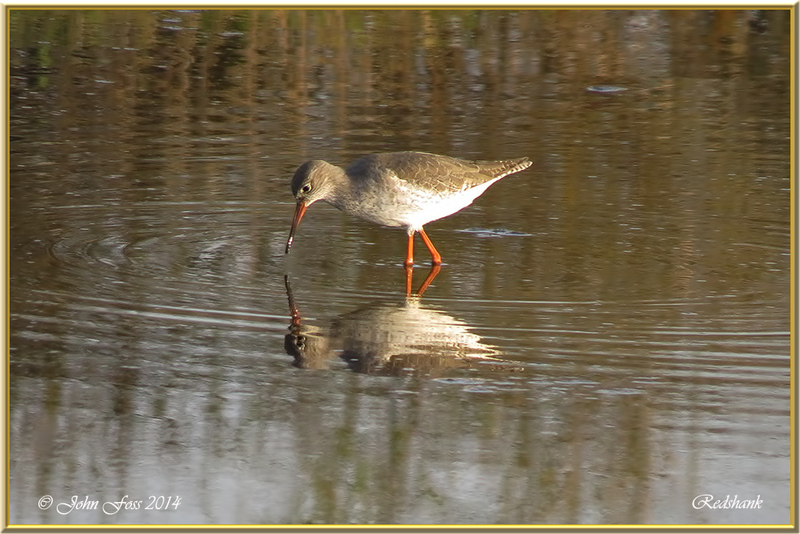 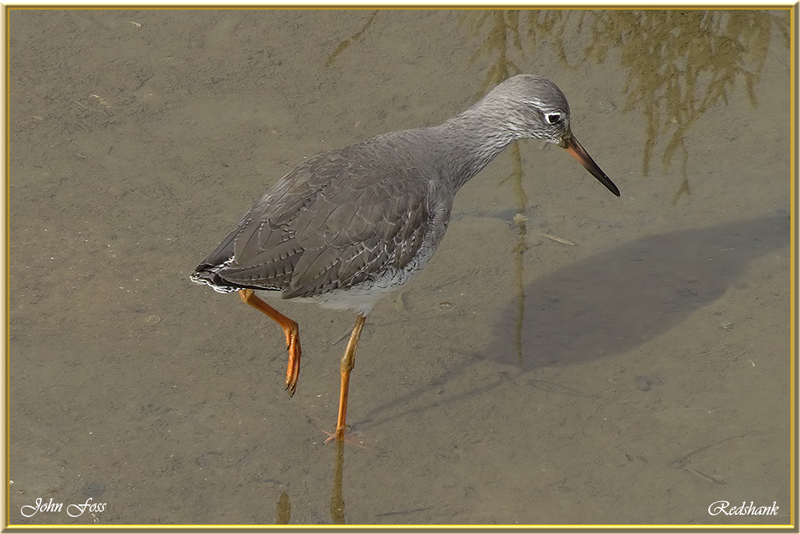 Redshank - A very noisy wading bird mainly found around coastal mud flats. 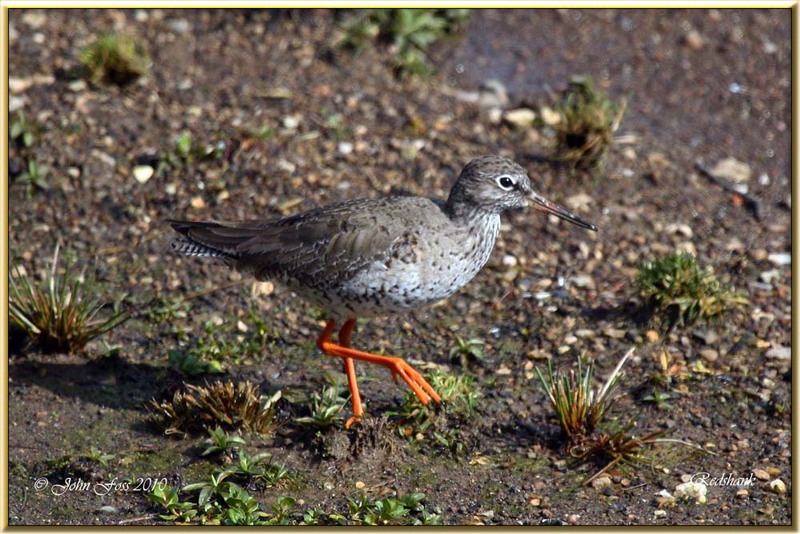 So called because of its distinctive bright orange legs. 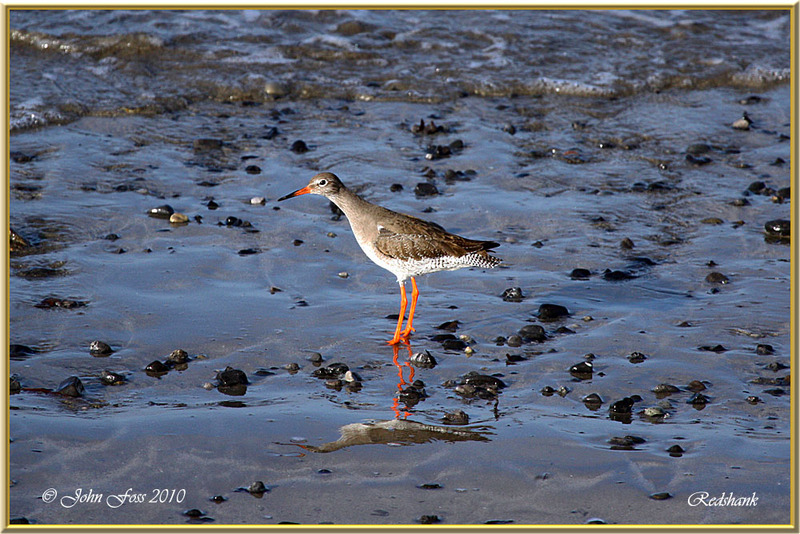 They sometimes sweep for food such as molluscs and crustaceans as they bob along rocky or sandy shorelines and mudflats. 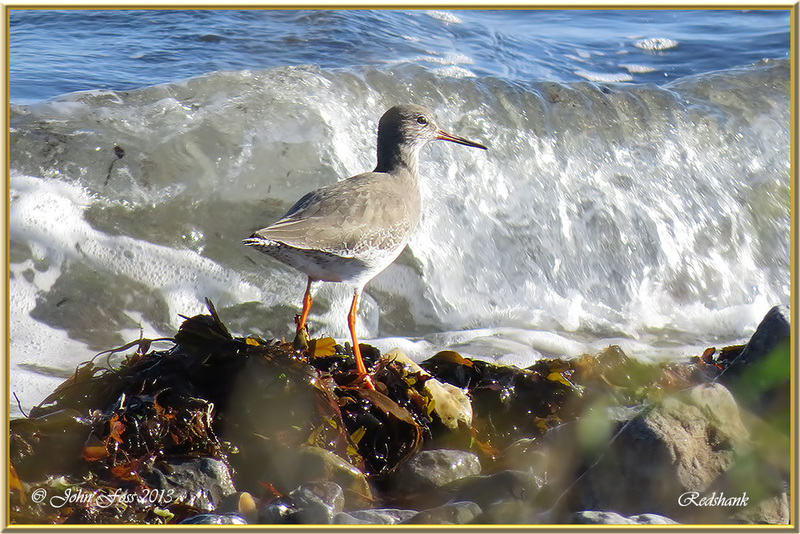 These photographs were taken in Derbyshire, Co. Sligo and Portugal.